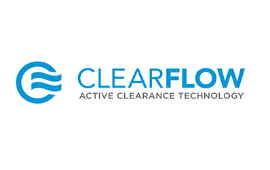 CTV > News > Services > Life Science > Clear Flow, Inc.
Clear Flow, Inc. is developing an anti-clogging platform of surgical drainage devices. Its lead product is the PleuraFlow Active Tube Clearance System, which addresses the problem of chest tube clogging after heart and lung surgery. In addition, Clear Flow has a pipeline of products based on its proprietary tube clearance technology to treat tube clogging in other medical market segments, including a system for the urinary catheter drainage market, the enteral feeding sector as well as systems for standard surgical drains.